Datatag Trailer is an exclusive insurance facility operated on behalf of Datatag ID Ltd.
More information on Datatag ID Ltd can be found at www.datatag.co.uk. The insurance facility is operated and administered by Insurance Protector, Quay House, 1st Floor, The Waterfront, Level Street, Brierley Hill, DY5 1XD. IPG Retail Ltd is authorised and approved by the Financial Conduct Authority (FCA). Our FCA number is 595853. All our team members are trained Trailer Insurance experts. We provide help & support to ensure you get the quote that meets your needs. 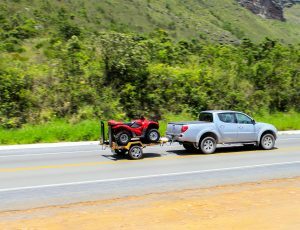 Our prices are both fair and affordable, covering any type of trailer. 1. Is immediate cover available? Yes. You can obtain a quotation and immediate cover via our website by using our interactive quotation facility. If you would prefer to speak to a specialist by telephone we are available during office hours (Mon to Fri, 9.00am to 5.30pm) by calling us on 0800 035 3753. Documentation is available immediately following insurance cover. In order to determine the cost of your insurance you will need to obtain a quotation from us. You can do this online by using our interactive quotation facility or by calling our office on 0800 035 3753. Each and every quotation is assessed on the individual details disclosed to us and our subsequent insurers. 3. How can I pay for my policy? We offer our customers a choice of payment methods. You can choose to pay your insurance premium in a one-off lump sum by debit card or credit card (see below for accepted cards). Alternatively if you would like to pay for your insurance by cheque please telephone our office on 01384 473036 for details. To make a claim or report an incident, please refer to your full policy wording where a claims telephone number will be provided. If you are unsure about any aspect of this you can contact us on 0800 035 3753 where we will be happy to reaffirm these details to you. Always have your policy number to hand when calling. 5. How do I change or cancel my policy? or by email at: business@datatagtrailer.co.uk. 6. What can I do if I'm not satisfied with datatagtrailer.co.uk? To view our complaints procedures please click here.